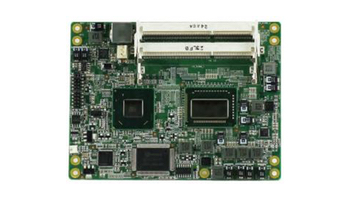 With the new Type 6 pinout which includes USB 3.0 ports and multiple display video outputs, COM Express® Basic is an excellent solution for high density integration for Digital Signage applications and data acquisition via USB devices. The field of vision inpection can be a good example. All in 125 x 95 mm.